It’s natural to want to see how we compare with others to learn how we can keep improving. We want to be better than yesterday. This article gives an overview of the Nutrient Optimiser Score and what it takes to get to the top of the Nutrient Optimiser Leaderboard. If you fancy a little “healthy competition”, then read on. The chart below shows my nutrient profile for three weeks of food logging. The vertical axis shows the various essential micronutrient (i.e. vitamins, minerals, amino acids and essential fatty acids). The horizontal axis is my proportion of the recommended daily intake per day that I achieved for each of these nutrients. The nutrients are then sorted to show the nutrients that I am getting less of at the top. The ones that I am getting plenty of are at the bottom. By continuing to focus on the nutrients towards the top of the chart we de-emphasise the nutrients we are getting plenty of. The problem with comparing my nutrient profile with someone else’s is that I could just eat more food to get more nutrients. This would penalise someone who is smaller or who is trying to restrict their energy intake to lose body fat. It would be comparing apples and oranges! We want to encourage people to consume higher levels of nutrients per calorie. We hope that the Nutrient Optimiser help people get the nutrients we need without excess energy and get improved satiety, weight loss and overall metabolic health. In order to usefully compare my nutrient density with someone else’s, we need to bring my nutrient intake back to an equivalent amount of nutrients per unit of energy. To do this we normalise to nutrients per 2000 calories. During the three weeks that these foods were logged, I was consuming an average of 1567 calories per day. So to remove the influence of food quantity we normalise intake to RDI / 2000 calories. The chart below shows my nutrients from the chart above factored up by 2000 / 1567. Now we have normalised my nutrients to 2000 calories per day, the Nutrient Score calculated by simply taking the area to the left of the line at 300% line that is filled, which in my case is 90%. The 300% value is arbitrary and leaves some room for improvement. Which nutrients do I need more of? The table below shows the nutrients that I am getting less of sorted by % DRI. Calcium doesn’t get prioritised due to the lower calcium:magnesium ratio as shown in the bottom left of the figure below from my Nutrient Optimiser Full Report. The Nutrient Optimiser algorithm goes off looking for the foods and meals that will provide me with more of the nine nutrients that I’m not getting as much of. Rather than worrying about avoiding the nutrients that I’m getting plenty of, the algorithm allows me to focus on getting more of the nutrients that I’m not getting as much of. Maximising nutrient density enables you to get away with fewer calories without missing out on the nutrients you need, which is useful if you are trying to lose body fat. Focusing on foods with a higher nutrient density tends to lead to increased satiety which enables us to manage our appetite. If I was a lean endurance athlete I would be looking for more energy dense foods that could provide me with the nutrients I need while still getting plenty of nutrition. The image below shows the current Nutrient Optimiser Leaderboard showing the current rankings based on the last four weeks of food logged by these people. You can click on the names of the people to view their full report to see what they are eating to make it to the top or the bottom of the leaderboard. We hope that this public leaderboard will drive some “healthy competition” as well as sharing of information on the different ways we can optimise our nutrition. There is no specific dietary approach that will get you to the top of the leaderboard. We don’t believe in the magic of any specific approach such as paleo, keto, low carb or vegan. However, the common thing all the people towards the top of the leaderboard are eating plenty of is minimally processed whole foods. Paul Burgess is a dietician and strength athlete who is using the Nutrient Optimiser to refine his diet in a cutting phase. Carrie Burns Diulus, who comes in at #4 is an orthopedic surgeon who has Type 1 diabetes and follows a plant-based diet. Dr Rhonda Patrick is a nutrition and research guru who runs Found My Fitness. Brianna Theroux is a nutrition and fitness consultant who is very particular about what she puts into her body. The Nutrient Optimiser will give you a list of foods and recipes that will help you boost the nutrients that you are not getting as much of.The idea is that you just eat more of the meals and foods towards the top of the list. Over time this will change and adapt as you continue to rebalance your nutrition from the ground up. If you’re interested, you can get a free Nutrient Optimiser that will give you food and meal suggestions along with recommended macro ranges for your situation. Once you bit more serious you can start logging your meals in Cronometer and get a more detailed analysis based on your micronutrient profile. We’re really excited about what this could achieve in the world of nutrition. We’d love to hear your thoughts, questions and suggestions on how we can make this even better to help more people. If you could integrate with MFP I’d be on board in a minute. I have a very successful approach that uses MFP integrated with Fitbit to control my weight and balance my nutrition. Nutient Optimuser would be a welcome enhancement but it’s just too much work to enter my food twice or to try to separately manage exercise and nutrition. You can get the free report without Cronometer data. We just use your conditions, goals and current diet to determine which nutrients to emphasise. We’re about to do the same for the full report as well. We’re also in the process of setting up an API to link into MFP which will be great for people like you. Are you concerned that this might spur Othorexia? Orthorexia is usually an obsession with the avoidance of foods that are considered bad. The Nutrient Optimiser highlights a range of new foods that would be beneficial for a person to keep moving forward on their nutritional journey, where they are starting from the bottom of the ladder or somewhere near the top. 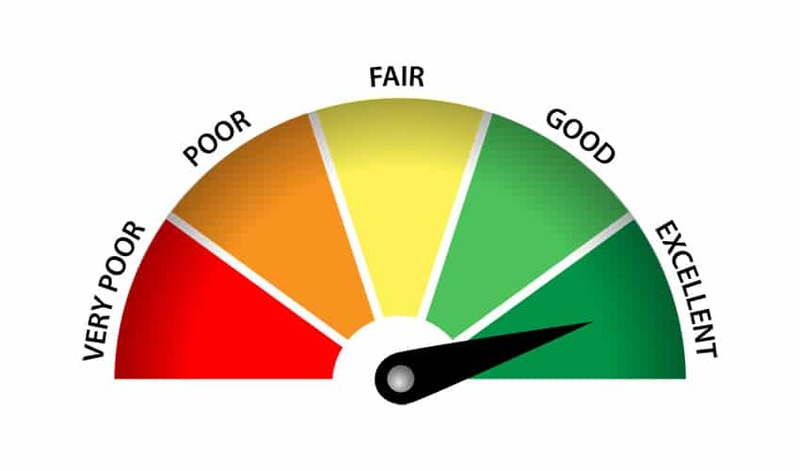 The Nutrient Score is also just one component of the system. We are nearly finished developing a dashboard that will guide people on a journey to optimise various aspects of their health based on quantitative feedback. What we’ve seen is people work on improving their score for a period of time, find a bunch of new foods and meals, form new habits and then get back to living their life rather than always obsessing around the food.